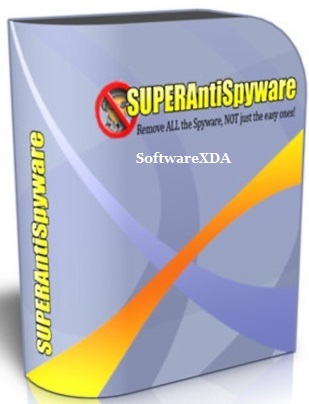 SUPERAntiSpyware Professional is available as a free download from our software library. SUPERAntiSpyware will detect and remove thousands of Spyware, Adware, Malware, Trojans, KeyLoggers, Dialers, Hi-Jackers, and Worms. It features many unique and powerful technologies and removes spyware threats that other applications fail to remove. The Multi-Dimensional Scanning and Process Interrogation Technology will detect spyware other products miss. Easily remove pests such as WinFixer, SpyAxe, SpyFalcon, and thousands more. SUPERAntiSpyware Professional includes Real-Time Blocking of threats, Scheduled Scanning, and Free Unlimited Customer Service via e-mail. Also includes a Repair feature that allows you to restore various settings which are often changed by malware programs, but usually not corrected by simply removing the parasite. Repair broken Internet Connections, Desktops, Registry Editing and more with our unique Repair System. Dedicated Threat Research Team scours the web for new threats and provides daily definition updates..
Detects & Removes Malicious Threats: Blocks Malware, Spyware, Adware, Trojans, Worms, Ransomware, Hijackers, Parasites, Rootkits, KeyLoggers, and many more. Securely Deletes Malicious Files: Quarantines potential threats and completely removes them, even the stubborn ones. Can restore quarantined items, if not harmful. Analyzes Your System In-Depth: System Investigator identifies spoofed and malicious files. Shows installed applications, browser plugins, and lets you track system changes over time. Cleans Up Browser Cookies & Popups: Removes unwanted cookies. Stops ads with integrated SUPERAdBlocker Technology. Stops Ransomware In Its Tracks: Protects your files and prevents hackers from holding them hostage. Repairs PC Damage: Fixes parts of your operating system, registry, task manager, broken internet connections, etc. caused by malware. Complements Your PC: Lightweight program doesn’t take up a lot of memory or processing power. Works with your antivirus. Easy to Use: Receive notifications when product and database updates are available. Scans run in the background and can start when your PC is sleeping. Stay informed: Review detailed scan logs about detected and removed threats and their locations. Get Support: Receive unlimited customer support via email and a 30-day unconditional, 100% Money-Back Guarantee.